The Storm Rascal 1 Ball Roller has a fresh look with the Black/Gold color. 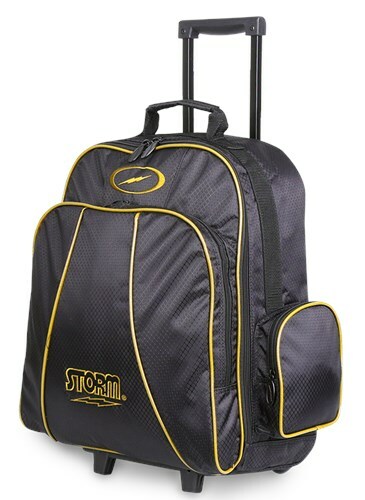 This bag can hold 1 bowling ball, shoes, and accessories. Due to the time it takes to produce the Storm Rascal 1 Ball Roller Black/Gold ball it will ship in immediately. We cannot ship this ball outside the United States.